International wrestlers have arrived in Pakistan to compete in the ‘Ring of Pakistan’ season 2018. According to a released statement by Inter-Services Public Relations, the wrestling event will be held in August in Islamabad, Lahore, and Karachi. The wrestlers who reached Pakistan belong to Britain, America, and France and the purpose of the event is to promote sports in Pakistan. The international wrestlers visited ISPR and met with DG ISPR Major General Asif Ghafoor for event coordination. 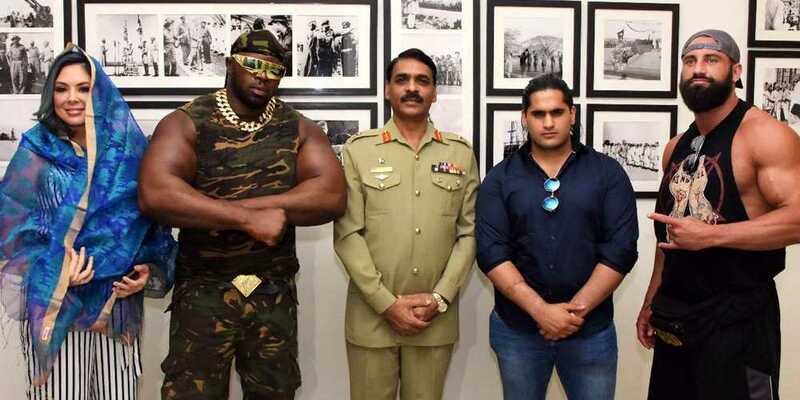 According to ISPR, the wrestlers also clicked photos with DG ISPR, Major General Asif Ghafoor. It should be noted that last year 19 international male and female wrestlers arrived in Karachi, where a wrestling event was organized in which they participated.